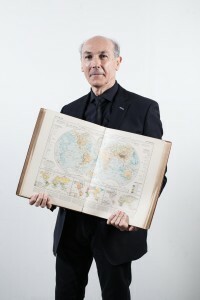 Yves Schemeil is Emeritus Professor of Political Science, the University of Grenoble (1997-2015); Global and Comparative Politics Professor, Institut Universitaire de France (Paris, http://cpu.fr/iuf/). Former Head, Institut d’Etudes Politiques de Grenoble; former vice-president, IPSA and French PSA; chair, national board for the recruitment of University professors in Political science; and member, several executive councils (ENA, FNSP, CNRS, Ecole Polytechnique, Fondation Maison des Sciences de l’Homme). He taught in several master programs in France, Switzerland, Japan, and Lebanon at master and PHD levels. He visited universities in several countries (the University of Chicago, as a Fulbright scholar in 1990; UCLA (Spring term 1980), Berkeley (summer session 1985); Saint-Joseph University in Beirut (1972-1975; 2001-2019); the American University of Paris (2005); the University of Waseda, Tokyo (Summer 2006); the University of Sophia, Tokyo (Winter semester 2008-2009); the University of Keio, Tokyo (October-November 2015); Akita International University of Japan (April 2016). Evaluations reports and peer reviews were written for several publishers and committees, like Routledge, Rowling, Polity (2010, 2011, 2016); the AXA Research Fund (2008) and the Swiss Research Fund (2009); Vanderbilt University, Nashville (2006), the University of Quebec at Montreal (2010), the Free University of Brussels (2014); EspNet (European Network in Political Science’s award in innovative teaching 2007); the University of Keio Center of Excellence (Tokyo 2007); the Japan society for the Promotion of Science (2012); The National research Funds of Belgium (2014-2015); the European Science Foundation (2015); the European Research Council (2015); The Lithuanian Research Council (2018-2019); the Czeck Research Grants Council (2018-2019). He designed three bachelor programs and six Master programs (lately, on international organization; on the the Middle East and the Mediterranean regions). Selected publications since 2000: “Comer en Paz” in F. Letamendia, Cucinas del Mundo, 2001; “From French Nationalism to European Cosmopolitism”, in T. Inoguchi, A Comparative survey on Europe and Asia, Tokyo, Institute of Oriental Culture Discussion Paper N°13, 2004; 2007 Al siyasat fi-l-charq al-qadim (Politics in the Ancient Orient, translated by Mustapha Maher), Cairo, Al majlis al aala al thaqafa; “Bargaining on Law and Bureaucracies: A Constitutional Theory of Development “, Journal of Comparative Economics, Fall 2010 (with E. Brousseau and J. Sgard); EU to Higashiajia no Chiikikyodotai (The EU and East Asian Regional Community), Tokyo, Sophia University Press (in Japanese, 2012, with Masaharu Nakamura, eds. ); “Dynamism and Resilience of Intergovernmental Organizations in a World of Persisting State Power and Rising Non-State Actors” in Bob Reinalda, ed., The Ashgate Companion to Non State Actors, London, Ashgate; “Bringing International Organization in: Global Institutions as Adaptive Hybrids” Organization Studies, 34(2) 2013; “Anxiety, Knowledge, and Resistance to Persuasion: Evidence from a Quasi-experimental Survey on Global Climate Change”, Political Psychology,Volume 38, Issue 1, February 2017, Pages 137-156 (with A. Naï and J.L. Marie, https://onlinelibrary.wiley.com/doi/abs/10.1111/pops.12331). His current work addresses some issues that are neglected by the scholarly literature, like the management of IOs and world reordering. To assess the causes of the former he focuses on the drivers of adaptive behavior. To identify the explanatory variables that are shaping the world, he compares the various organizational and constitutional designs that may be more or less conducive to a more institutionalized planet in the long run. In international Studies and Organization Theory his research interests go, firstly, to intergovernmental organizations’ autonomization, enlargement and cooperation. Explaining such processes is also addressing IOs’ history, the role played by experts, political leaders, and representatives in the decision-making process; management, accountability, and political communication; organizational culture, innovation and learning; inside and outside coalitions; norm creation and norm enactment. Secondly, the prospects for world reordering are assessed. To identify the explanatory variables that are reshaping the world, he compares the various organizational, procedural, and constitutional designs that may bring about a more institutionalized planet in the long run and the role emerging powers play to rejuvenate established negotiation rules. In Comparative Politics and Political Behavior, the focus is on comparison by differences across cultures in the long run, with a special interest for Asia, and the Middle East on the one hand, Europe and North America on the other hand. Political judgement and democratic deliberation are studied with the help of original cross-national surveys and experimentation. Institutional innovation and political trajectories are traced back to ancient times, from the Ancient Orient to the Far East. de la Chine à l’Europe”, Socio, n°5, 2015. “Vers une pensée vraiment universelle: l’apport des auteurs non occidentaux à la construction de la modernité” in Michel Wieviorka, Gwenaelle Lieppe et Laurent Lévi-Strauss (eds), Penser global (Actes du colloque international, Paris, 15-17 mai 2013), Paris, Editions de la Maison des sciences de l’homme, coll. “Penser global”, 2015; “Des études internationales cosmopolites en Asie”, Socio, 11, Octobre 2018, p.211-240. Presentation: First conceived as a research group of the PACTE-CNRS laboratory of Grenoble, the IOs network connects French local Researchers to their peers abroad, mainly in the Netherlands (Bob Reinalda in Nimegen), Swizerland (Jean-Christophe Graz in Lausanne), Germany (Rafael Biermann in Jena), Italy (Fulvio Attinà and Stefania Panobianco in Catania, Francesco Amoretti and Mauro Santaniello in Salerno), and Canada (Louis Belanger in Quebec), Brazil, Dawisson Belèm Lopes in Belo Horizonte). It is sponsored by the Rhone-Alpes Region (Explora, Cible) and the European Union (Erasmus). Most of theses scholars are concerned with issues of management of IOs, cooperation between organizations or among their members, and their adaptation to environmental change. IPSA World Congress in Poznan, July 2016, Panel CS04.68: Rising States and Established Powers in International Organizations. Since the number of IOs have dramatically grown they must adjust to each other and enter into networks. Opening their boundaries requires strong leadership to protect their identity despite pervasive transactions and control overlaps. Leaders must opt for limited collaboration or full cooperation and arbiter between focusing on the government of their organization and endorsing a multi-stakeholders’ governance. Decision-makers of all sorts contribute to boundary decisions, and this process may be harmonious or hectic, centralized or decentralized, ad hoc or systematic. The aggregated outcomes of such internal politicking may be consistent with expectations or not, because undesirable effects often result from desirable actions. Were IOs considered as belonging to a population of international bodies instead of a cloud of independent actors, this population should have particular properties. A population is clearly beyond a simple collection of agents: composed of like-units it may be loosely coordinated by prominent IOs acting as a group of peers, or firmly governed by a meta-organization. Does leadership matter in determining the perimeter and shape of boundary decisions and networks’ governance? Do populations of IOs perform differently according to their structure? Is coordination distinct from coalition, collaboration, and cooperation? Which theories are more adequate to explain IOs’ collective action? Can we draw typologies of populations, networks, and leadership styles. Lecture: “Urban Ethnology: Chicago Style and French Touch”, Yale, Department of Sociology, November 13 2017. Political Psychology Panel (J.L. Marie, Sciences po Lyon, & Y. Schemeil) at the last Congress of the French PSA, Aix-en-Provence, 22-25 June 2015. Discussion of the « Opinion stability » paper (A. Nai & Y. Schemeil) in a dedicated ECPR panel, Bordeaux, september 2013. Reviewing the « political reasoning » book project in the CEVIPOF, Paris, June 25 2013. Presentation. This network is actually composed of several sub-networks that loosely communicate: research on new institutional economy’s issues (with Eric Brousseau, Paris Dauphine; and Jérôme Sgard, CERI-Sciences Po Paris) ; research on non western political thought (with Hiroshi Watanabe, Hosei-Tokyo; Ken Tsutsumibayashi, Keio-Tokyo; Rajeev Bhargava, Delhi; Charles Butterworth, Maryland; Jean Leca, Sciences Po Paris); research on political change in the Middle east in comparative perspective (with Eberhard Kienle, Beirut; J.N. Ferrié, Rabat). These sub-groups sometimes overlap, as in the College d’Etudes Mondiales’ initiative on universal political thought, or PACTE then IFPO’s seminar on recent changes in the Arab countries. Non-Western Political thought: seminars in Paris, Collège d’Etudes Mondiales, 13-14 May 2013; 23-24 August, 2018 (organizing committee: Pr. Tsutsumibayashi, Okubo, Watanabe, and Schemeil). Keio/Grenoble joint seminar in Comparative Politics about « The quality of democracy in Western and non-Western countries », 2014-2015. IFPO’s seminar on « Institutions and change », Beirut, January 2015. IFPO’s PHD seminar, Beirut, December 2015. August 209: Non western political thought: Africa and the Middle East (FMSH, Paris). I send you email for talking about my project and if you are interested you will be my supervisor. My research interest is about Middle east politics and foreign policy. Right now I working about sectarianism in the Middle East With emphasis on the religious identity challenges specially Sunnis and Shiites in Iran and Saudi Arabia . Title of my research project is Language and Sunni religious networks in the East Part of Iran; Civil skirmishes and International Relations, comparative study with shia in east part of Saudi Arabia. If you interested accept me as student please let me know. then I send you my C.V and proposal as soon as possible. It will be my pleasure if you accept me as student. I want apply for some fund or scholarship in Iran for PhD if you accept me as student at Grenoble university. Your answer and attention would be highly appreciated. Dear Student, I cannot supervise new PHD at the moment, but your project may attract the attention of Pr. Philippe Droz-Vincent, a very competent expert of the Middle East at Sciences Po Grenoble. Good luck, and thank you for your confidence in my work. I am curious if you would be willing to share any readings or source material from your course « The Politics and Diplomacy of Cooking and Hospitality ». I work for an artist residency and think that any information on this subject would be greatly useful. Happy to know people share an interest in this. The course will be converted into a book, whenever possible. I’ll let you know.